Those conditions existed in a time when almost every budgeted marketing dollar was spent on being the loudest voice in the room. Campaigns designed only to push. If cheapest price is the only factor in whether or not you win the business, then why have a sales team in the first place? Wouldn’t it be more efficient to reduce your Cost of Goods Sold by simply manufacturing your equipment, teach a few people how to fill out a proposal, lower your profit margin expectations and move product at cost. We of course can’t, shouldn’t and don’t work that way because in the end, while price matters, it’s certainly not the most important factor in the equation. Without the connection your salespeople have to your customers, it’s impossible to even be in the hunt. Water Online proves this to be true. From a marketing tactic standpoint, Water Online has never been your cheapest option. It thrives as a marketing vehicle for suppliers in this market because of the connection Water Online has in the industry with both buyers and suppliers. It almost always makes “Need to Do” lists for savvy business owners because of connection, not price. And our experience is that we’re a far cry from the 1970s-1990s when manufacturers generally “beat up” their ad sales rep for the lowest price and selection of the cheapest. Business has fundamentally changed. Gaining a shared understanding is now more important than ever and buyers of our manufactured solutions need a connection to our brands. It is in part a generational thing as Generation X and Millennials now make up a majority of the workforce (yes, even in the water and wastewater market). 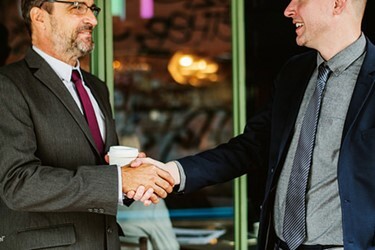 Those new generational buyers have far less time in their day to haggle over “price” than their predecessors and instead, they crave the experience, help, story, collaboration and connection that you can offer to help them get their job done more efficiently. I’m not arguing that price isn’t a factor. But you’ll be surprised how little of a factor it becomes when you build a true connection built on mutual trust with your buyer. Focus on the right things and price becomes secondary when compared to the strength of your brand and connection to your buyers.